Usually when something is described as “out of this world,” it’s meant figuratively, but the newest ice cream flavor from Jeni’s lives up to the expression in almost every sense. As part of its Spring 2017 Collection, the ice cream company has released its new Supermoon flavor, and it’s not your average terrestrial pint. 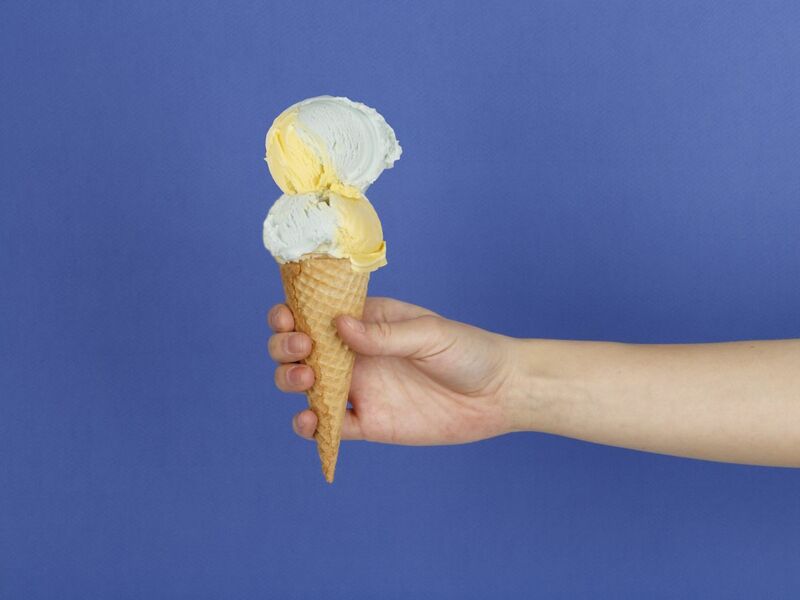 Inside every carton of Supermoon comes a cosmic swirl of two different colored ice creams. One is a shade of light yellow and tastes of vanilla marshmallow. The other, a pale blue, gets its flavor from candied violets. A scoop of Supermoon packs a whole lot of sweetness in every last lick. Jeni’s compared its new flavor to what’s left in a bowl of Lucky Charms if you were patient enough pick out all the cereal pieces and be left with the best parts. All that’s left is sweet milk and marshmallows. After tasting the new flavor myself, I understand the comparison, but there’s also a floral flavor present among all the sweetness. To me, what’s even more appealing than this ice cream’s taste is the look achieved by these two colors sitting side by side. 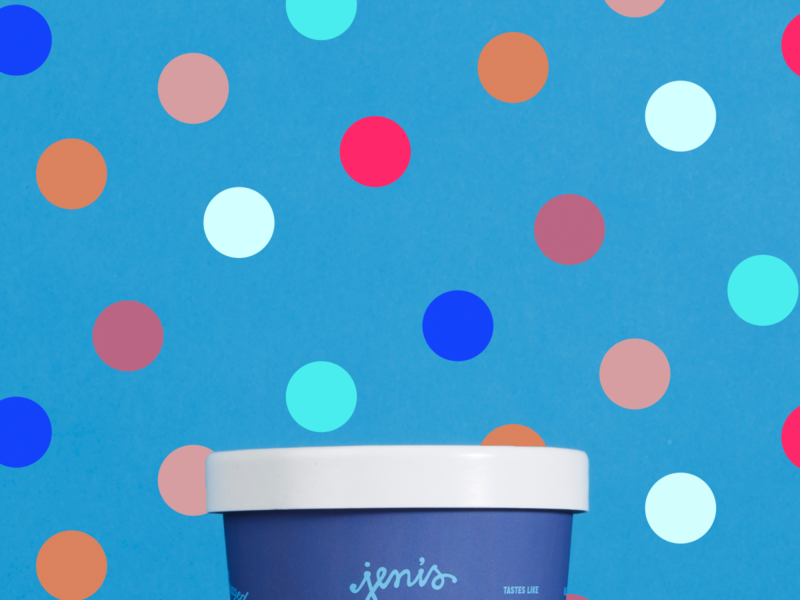 One look inside the pint does indeed immediately take your mind on a spaceship ride among the stars, and that’s the point because Jeni’s entire Spring Collection is all about adventure. The collection is called “We’re Not From Here. You Belong Here,” and though it may seem slightly nonsensical, each flavor is meant to treat you to familiar tastes in an unfamiliar way. In addition to Supermoon, Jeni’s has a new frozen yogurt called Orange Blossom Buttermilk. This one offers a refreshing mix of the mildly sweet and sour flavors from tangerine and orange flower with the tartness of fresh buttermilk. Both the Orange Blossom Buttermilk frozen yogurt and the Supermoon ice cream are currently available in Jeni’s scoop shops, online, and at select grocery stores. Get ready to fly your tastebuds to the moon on a rocket ship shaped like an ice cream cone.